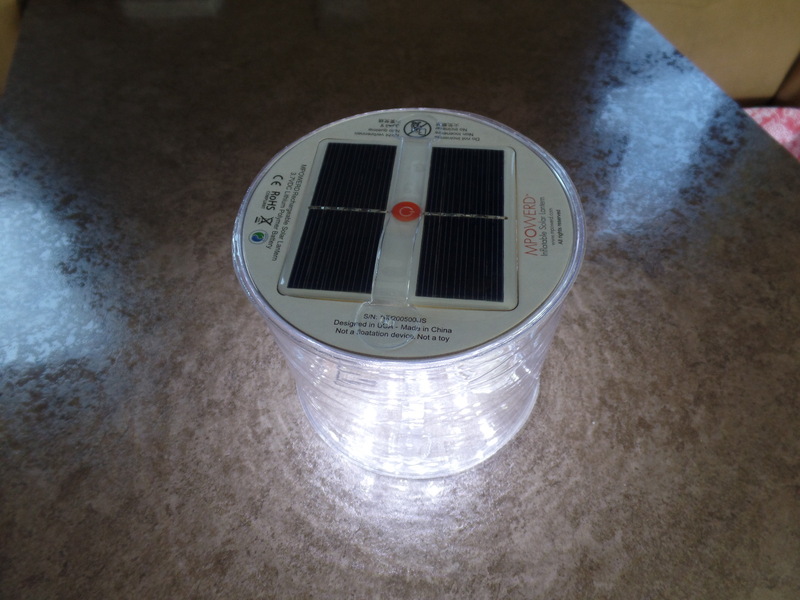 We recently bought a small inflatable solar powered light for those times we might not have electric hook ups. This will be a great addition to our backpacking gear as well. This little light has 10 LED lights that are charged from the solar panel on the top. It puts out a huge amount of light and has 3 settings (low, high and flashing). 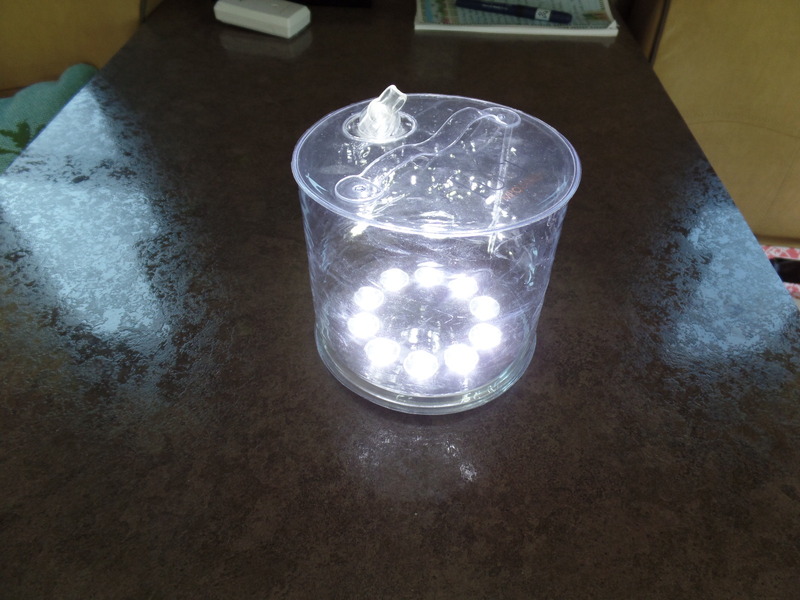 John has already used it to light up the small battery compartment when he hooked up the solar power. It comes attached with a hoop so we will be able to hang it from the awning if we want some outdoor lighting when we sit outside in the evenings. Look at all of that light! This entry was posted in Lori loves her tech gear and tagged backpacking, light, solar. Bookmark the permalink.